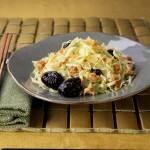 To make dressing, combine vinegar, mayonnaise, honey, sesame oil, soy sauce and chili-garlic sauce in a small mixing bowl. Slowly whisk in oil to emulsify dressing. Set aside. 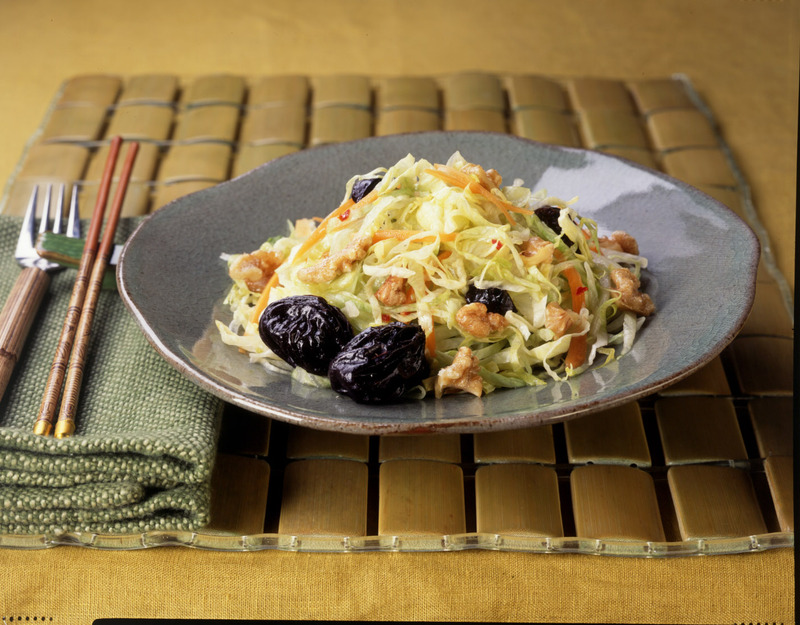 In a large mixing bowl, combine iceberg lettuce, dried plums and carrot. Add dressing and toss to coat leaves evenly. Sprinkle salad with walnuts and serve. Serve extra dressing on the side.